The trouble started 24 months ago, but the origins of the financial crisis are still disputed. The problems did not begin with subprime loans, lax lending standards or shoddy ratings agencies. The meltdown can be traced back to the activities of the big banks and their enablers at the Federal Reserve. 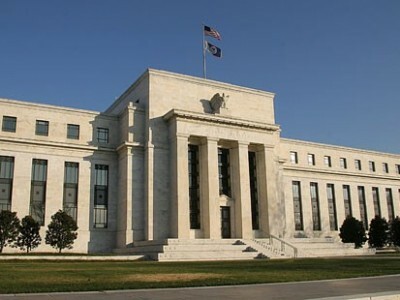 The Fed’s artificially low interest rates provided a subsidy for risky speculation while deregulation allowed financial institutions to increase leverage to perilous levels, creating trillions of dollars of credit backed by insufficient capital reserves. When two Bear Stearns hedge funds defaulted in July 2007, the process of turbo-charging profits through massive credit expansion flipped into reverse sending the financial system into a downward spiral. Currently, the banks are lobbying congress to preserve the “financial innovations” which are at the heart of the crisis. These so-called innovations are, in fact, the instruments (derivatives) and processes (securitization) which help the banks achieve their main goal of avoiding reserve requirements. Securitization and derivatives are devices for concealing the build-up of leverage which is essential for increasing profits with as little capital as possible. If Congress fails to see through this ruse and re-regulate the system, the banks will inflate another bubble and destroy what little is left of the economy. Whalen’s complaint is heard frequently on the Internet where bloggers have blasted the cozy relationship between the Fed and the big banks. In fact, the Fed and Treasury are not only hostile towards regulation, they operate as the de facto policy arm of the banking establishment. This explains why Bernanke has underwritten the entire financial system with $12.8 trillion, while the broader economy languishes in economic quicksand. The Fed’s lavish gift amounts to a taxpayer-funded insurance policy for which no premium is paid. No one understands these instruments; they are deliberately opaque and impossible to price. they should be banned, but the Fed and Treasury continue to look the other way because they are in the thrall of the banks. This phenomenon is known as “regulatory capture”. The Geithner-Summers “reform” proposals are a public relations scam designed to conceal the fact that the banks will continue to maintain their stranglehold on OTC derivatives trading while circumventing government oversight. Nothing will change. Bernanke and Geithner’s primary objective is to preserve the ability of the banks to use complex instruments to enhance leverage and maximize profits. The banks created the financial crisis, and now they are its biggest beneficiaries. They don’t need to worry about risk, because Bernanke has assured them that they will be bailed out regardless of the cost. Financial institutions that have explicit government guarantees are able to get cheaper funding because lending to the bank is the same as lending to the state.